I really hope next year, but of course depends also on writing and if other games are finished in the meanwhile (so I'll pause to do the beta/release process). I think end of 2017 should be a reasonable estimate all things considered! 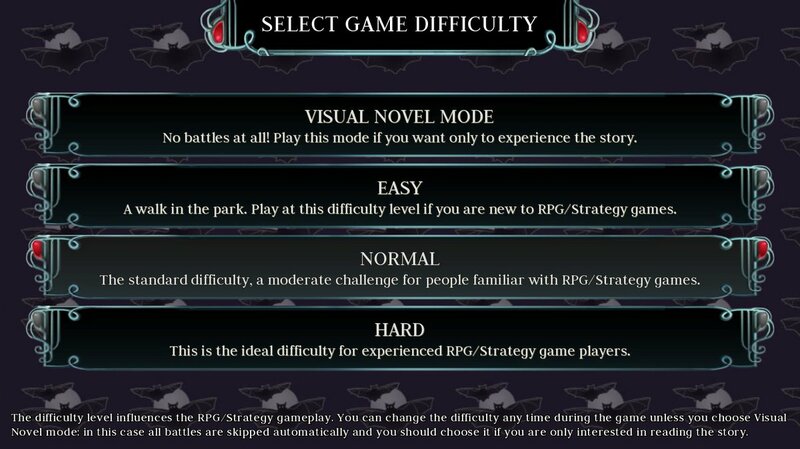 difficulty selection screen. Nothing special but one less thing to worry about! Reminds me of something from Tim Burton; EPIC!!! doing the "status screen" was quite complex! Since the writer wants to keep open the possibility to have a "neutral playthrough", I had to visualize both the Chaos/Order characters. I first made some tests with all the 12 characters at the top but was a big mess. So I decided to divide them by element (ha! I'm smart eh???). 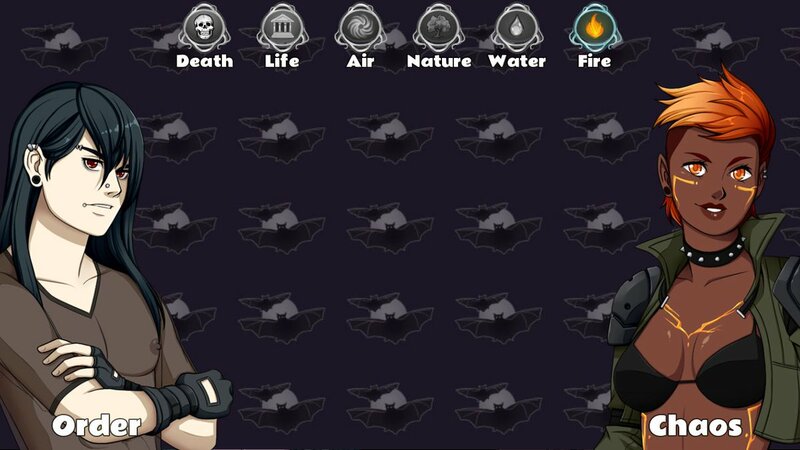 Now you click on the element, and will show you the two corresponding characters (Order/Chaos). 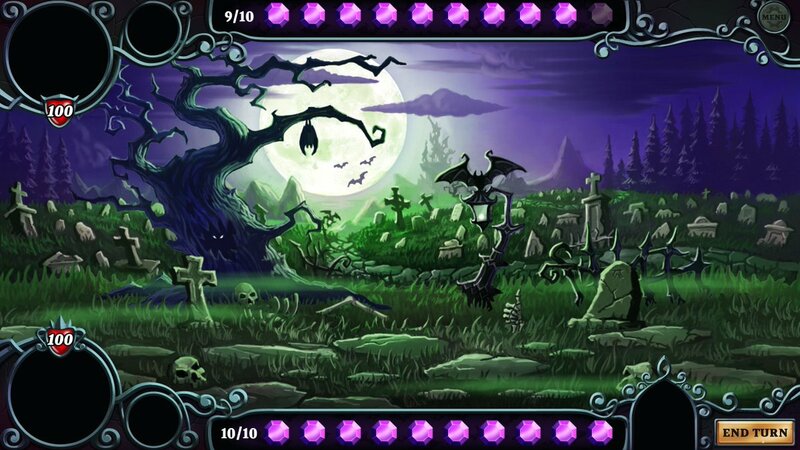 In the middle, I will display the creatures/units they can summon (the ones unlocked so far in the game story). Creature tab and a spell tab in the center. Clicking on the Order or Chaos character will show their spells (so maybe gray out of unselected character?). Clicking on characters I guess doesn't affect summons. The girls I liked are on the Chaos side and I will never play with the Chaos Ace. While I really liked Order Ace, I didn't like the girls on the Order side. I will probably pass this one. Haha, I'm happy to be working on Cursed Lands and the other games right now but I'm really looking forward to get back and finish this one too! Haha, even an undead being is hyped about that!